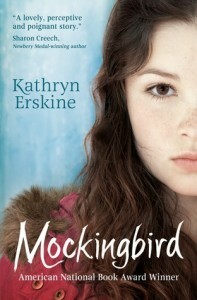 In her fine Transition Year Extended Essay last term, which gained a Distinction, Eliza Hancock dealt with a subject that has not previously appeared in the 18 years of these projects: the portrayal of Asperger's Syndrome in modern fiction. I came across the theme of my extended essay completely by chance. Originally, I wanted to do childhood in general, my reason being that childhood is something that everyone goes through, that everyone can relate to, and therefore would be quite easy to write on. However, I then came across ‘The Curious Incident of the Dog in the Night Time’, and realized that I didn’t want to write on children who had normal, every-day childhoods, I wanted to read and write about children like Christopher Boone, children with Asperger’s Syndrome. I began searching for books that fit my theme, and came across five: ‘The Curious Incident of the Dog in the Night Time’ by Mark Haddon, which obviously I had already read as it was the book which gave me the whole idea for my essay, ‘Mockingbird’, by Kathryn Erskine, ‘The London Eye Mystery’, by Siobhán Dowd, ‘Spinner’ by Anthony Masters and ‘House Rules’, by Jodi Picoult. I read them all, and after a lot of deliberation, indecisiveness and chopping and changing, I finally decided on ‘The Curious Incident’, ‘Mockingbird’ and ‘House Rules’. Read the full essay by Eliza here.